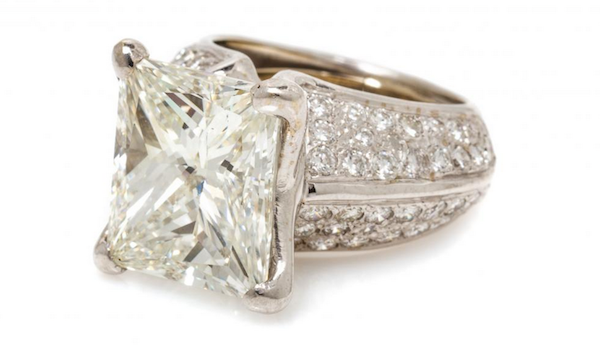 HomeOn The SquareApril Important Jewelry Auction an Absolute Gem! 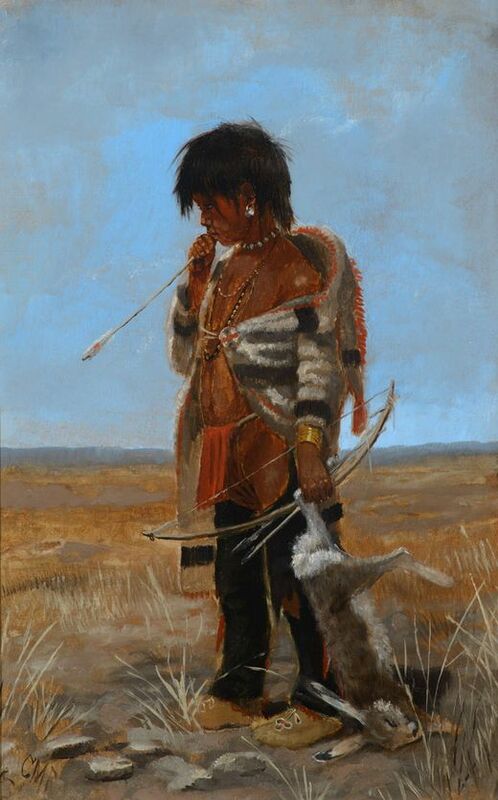 April Important Jewelry Auction an Absolute Gem! Those into high-end jewelry are eager for Leslie Hindman Auctioneers to hold their two-day Important Jewelry sale. The catalog is loaded with top draw stones and cutting-edge design, all curated by experts, so demand is guaranteed to be high. Lot 132 is sure to be one of the stars of the sale – an exquisite Golconda-type diamond and ruby ring. Containing a potentially flawless octagonal step cut diamond, plus six baguette-cut diamonds, the ring gets real pop from its eye-catching array of square and rectangular mixed cut rubies. 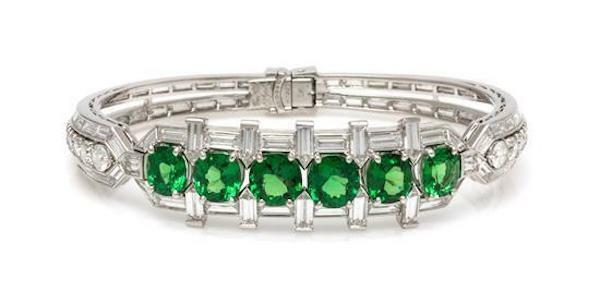 Youll be in grand company once you snare Lot 437 - a platinum, diamond and tsavorite garnet bangle bracelet from Van Cleef & Arpels. Founded in 1896 by Alfred Van Cleef and his uncle Salomon Arpels in Paris, the wares of the iconic French house has been worn by style icons such as Empress Farah, the Duchess of Windsor, Grace Kelly and Elizabeth Taylor. What better way to make that special someone in you life feel even more special that by arriving home with Lot 392 in tow? 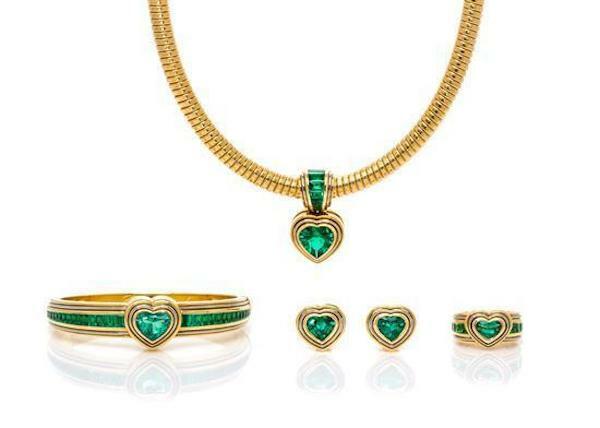 An 18 karat gold and emerald heart motif demi parure by Swiss house, Chopard, the set consists of a pair of earclips, a ring, a bangle bracelet, together with a necklace consisting of a pendant containing one heart shape emerald and six calibre cut emeralds. Lot 259 is one of those timeless classics sure to have plenty of admirers. A platinum and diamond ring featuring one rectangular modified brilliant cut ten karat diamond, the knife edge setting contains 72 round brilliant cut diamonds within two separate sections. Romance is never far away at any jewelry sale and Lot 59 - an important Belle Époque platinum, Montana sapphire and diamond bracelet, circa 1910, more than fits the bill. Containing seven square cut Yogo Gulch Montana sapphires, together with 63 old mine, old European, rose cut and round single cut diamonds, it heralds from a age when anything seemed possible, the glorious Belle Époque that came to an end with the commencement of WWI. 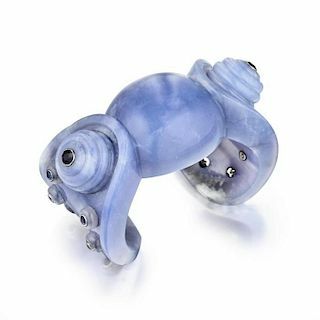 The two day Leslie Hindman Important Jewelry sale takes place Sunday, April 3 and Monday, April 4, and contains over 1,340 expertly curated lots. Look now at the full catalogs for Day 1 and Day 2. Following the Important Jewelry Auction, Leslie Hindman Auctioneers’ Fine Timepieces sale takes place April 4 at 5:30PM CST and features a variety of designer watches and timepieces, view the catalog here. 20.05 ct. Sapphire Sells on Bidsquare!